Petra Seisl holds a Ph.D. in Business Administration. In 1998 she completed her thesis on “The Downside of Downsizing and Implications for the Management”, for which she received the Award of the Bayerische Landesbank. She published further articles discussing Human Resources and Post Merger Integration related topics. While working on her thesis she consulted companies on strategy and HR related issues. During this time she also worked as an Assistant Professor at the institute for HR and organization studies at the University of Federal Armed Forces Munich with Prof. Dr. Marr. 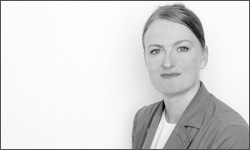 From 1997-2008 Petra held several management positions at EADS Munich (from 2001 part time as she also works as free-lance trainer and consultant). Nearly all projects she was involved in or responsible for at EADS, were extremely complex, transnational, with a lot of political and unforeseen challenges. Since 2009 she consults her former employer in international projects. one on change management & international HR-related projects. the second on health industry (from market research to the design of health related conventions). See also www.rebmann-research.de. Petra also used to teach at the Munich Academy for Television and Film (Strategic Management & Leading Teams).